When the days get colder everything seems to conspire against our precious voices. So, it becomes even more important that we take care of it in order to preserve its good health and make sure it functions at its best even when it’s put through tough conditions such as cold wind and low temperatures on a daily basis. Lack of hydration makes your vocal chords more prone to becoming irritated, which in turn can lead to redness and swelling. Steam is the solution! Breathing steam is actually the only way to hydrate your vocal chords directly. Put some boiled water in a bowl, cover your head with a towel and breathe the steam. Steam can help you shake off a chesty cough by breaking up thick mucus and restoring hydration. And if you make steaming a daily habit you’ll reduce the risk of vocal injuries. You should also sip some water throughout the day to make sure your hydration levels don’t drop. Lemon, ginger and honey have become a regular part of my diet. Lemon juice has antibacterial and antiviral properties and is also high in vitamin C. This helps in boosting the body’s immune system and fighting infections. Ginger has also antibacterial effects on respiratory infections and it’s a potent anti-inflammatory agent. Honey is commonly used to cure cough, cold, flu, sore throat and respiratory infections. I usually combine these 3 ingredients and make a delicious drink that keeps my voice healthy or relieves me from a minor cold or flu. These are the foods that I consume regularly. More can be found in this interesting article. This is a step too many singers just forget about. You definitely want to make sure you take enough time to prepare your voice to endure the singing that follows. 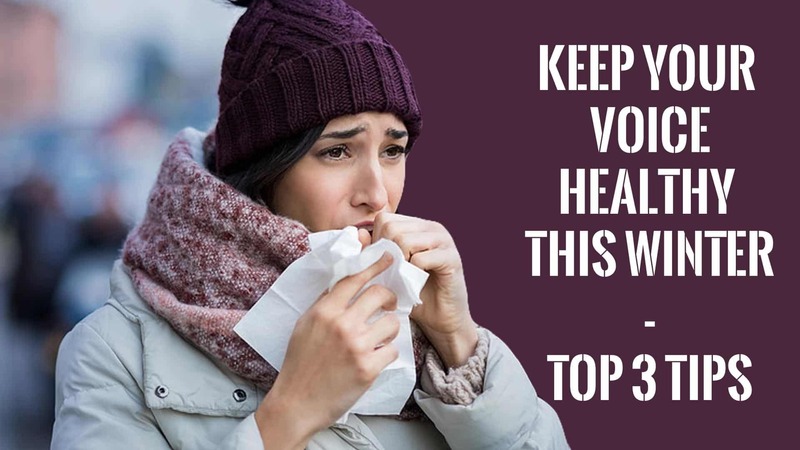 This is actually true all year around but even more important when you have to sing through a mild cold or flu and want to make sure you don’t delay your recovery or put unnecessary stress on your vocal chords. It goes without saying that a healthy lifestyle goes a long way in keeping your voice in good shape: sleep well, don’t smoke, follow a healthy diet, drink alcohol in moderation and do regular physical activity. Your voice (and the rest of your body) will thank you for that! Hope you’ll find my tips helpful and please comment below if you’d like to share any of your own tips and tricks.